As fall days are growing shorter, we thought this would be the perfect week to shine the spotlight on lighting. From candle accents that add a warm glow to your home to task lighting that lets you see every detail clearly, the right lighting choices illuminate your life. We’re showcasing some of our year-round favorites this week, but don’t forget the special place holiday lighting plays in your seasonal decor. 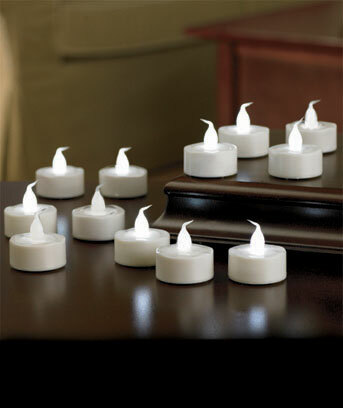 You’ll find a wealth of ways to light it up with Lakeside! Be the star at your next backyard gathering or dinner party with these twinkling Hanging Star Candle Holders. Available in red, green and gold, these antiqued metal and glass holders hang suspended from decorative chains for a celestial effect in any indoor or outdoor space. They’re unlike conventional light fixtures yet they are enchanting when hung from tree branches for an evening garden party or in windows for a festive touch. The holders open in the back and can fit standard tea lights or LED everlasting candles with ease. Each star is 10 inches wide, so they’re large enough to make a dramatic statement by themselves or in groupings of two or three. Choose a single favorite shade or create a beautiful play of hues with stars in all three vibrant colors. Lighting takes a practical turn when you use our illuminated floor stand magnifier lamp for everything from detailed hand sewing to reading small print with ease. The stand adjusts for easy positioning while its flexible gooseneck design lets you bend and tilt the generous magnifying lens anywhere you need it. 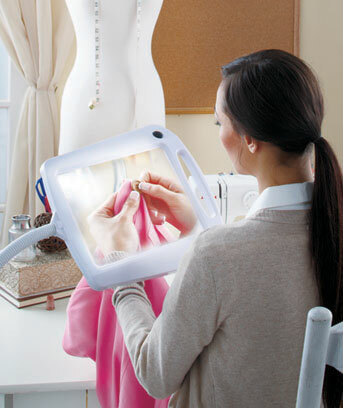 A dozen bright white LEDs on the back of the magnifier’s frame cast clear, shadow-free light on your craft project or art, letting you see every detail. Perfect for miniature painters, embroiderers, fine artists and avid readers, this stand-alone frame lets you keep both hands free while sharpening your vision. The screen is lightweight acrylic, so it’s easy to move and reposition. Once you see how much of a difference glare-free lighting and magnification makes to your next project, you will wonder how you did without this craft essential. 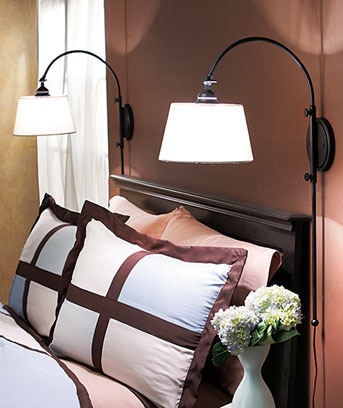 In your master bedroom, guest room or den, light fixtures can be both pretty and practical when you choose our exclusive adjustable wall lamp. Clean-lined, contemporary styling goes with any decor, and the lamp height adjusts to fit over your bed, sofa or favorite easy chair. The graceful curve of the lamp’s metal body ends in a classic white shade for maximum light with no glare or eye strain. Because they mount to the wall, these lamps free valuable real estate on end tables and nightstands, giving you more room for decorative objects, books or a glass of water. 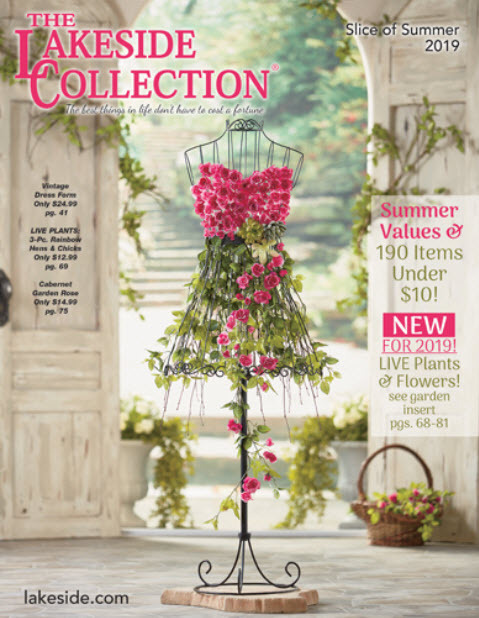 Each individual light fixture accepts up to a 40-watt bulb and casts plenty of light for reading, crafting or sewing. With the right lighting, shorter days feel warm and bright even as the weather turns cooler. Let Lakeside light up your life with essential task lighting, light fixtures, practical reading lamps and decorative candles to create special effects throughout your home!